Finally a tool to help you walk in God’s grace throughout the day! 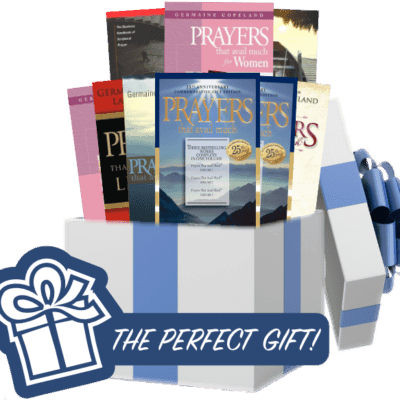 Designed specifically for both employees and employers, Prayers That Avail Much for the Workplace will aid you in tackling life’s challenges – God’s way. This book is a must read. 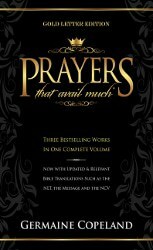 It covers everything you may experience at work and you can see the manifestation of The Most High presence working. It works, and great stress reliever. Especially when you don’t know where else to go! My hard copy is in shreds. Gave away other copies I had. Now I have finally I bought a soft copy and love having it on my device. Excellent companion for my days at work. If you don’t get it, you just don’t get it. Prayers for every situation in the workplace and believe me, you will come across every one at one point in your life. Be ready with the Sword of the Spirit. If you work this is a must have. It covers so many different and important areas of work. It is great. I would advise anyone who works to purchase it and enjoy the benefits. A bit difficult to navigate in the E format. Could use more prayers especially for dealing with difficult employers or coworkers. This is such an awesome book. The prayers are wonderful and very touching! I love all the books from this author! When you don’t know the words to use it comes in very handy. Keep it in my desk at work.